Cavco. Canadians Buy Dozens MHCs. New MH Production Data. Cui Bono? HUD MH Contract Controversy. Debunking Trailer Trash Stigma. Historic MH Decision. March 2019 Featured Articles are linked here. We’re #1 – Now in our 10thyear serving MHPros and investors. 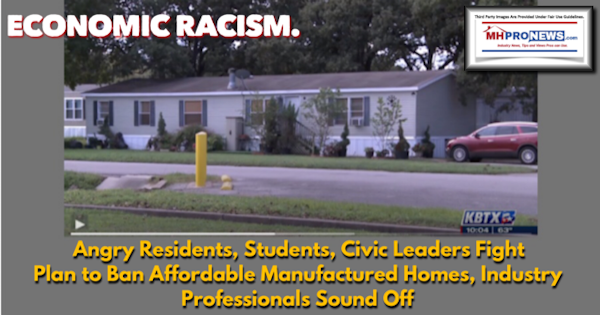 While others offer spin, or shovel self-serving BS, MHProNews provides the blend of news, fact-checks, analysis, and commentary that keeps the manufactured home industry’s pros coming back for more. “If MHProNews is writing about it, I want to know about it”– MH Industry Pro’s quote. “Fight Like Hell” for Independence, Says Trustee – Manufactured Housing Inspiration? Manufactured Housing Compromise? Carrots and Sticks, and Mutual Victories? HUD, Census Bureau Releases Mainstream January 2019 Housing Starts Data, How Does Manufactured Housing Compare?